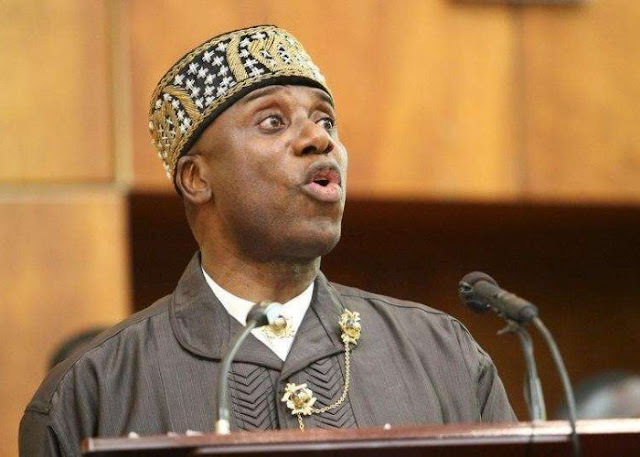 Transportation Minister, Chibuike Amaechi, says the Independent National Electoral Commission (INEC), is working for the Peoples Democratic Party’s interest in the 2019 polls in Rivers. In a chat with journalists in his country home in Port Harcourt on Thursday, Amaechi said that the INEC chairman, Yakubu Mahmood, was being loyal to Gov. Nyesom Wike of Rivers because he once served under him. Amaechi said: “An example that INEC is working for the PDP is a fact that there is a stay of execution granted by the Court of Appeal. “Just because the INEC Chairman was Director of TETFUND under Wike as Minister of State for Education, he now chooses the Court order to implement and the one not to implement. “Obviously, he is trying to assist Wike become a second term governor on this election. We understand his game but we believe in the Judiciary. “You heard the President when he said that the injustice will be addressed. We will deal with the justice and not the judgement. I listened to our governor when spoke about violence. “I don’t like violence because if you kill somebody you can’t replace the life. APC just lost 15 persons and I was touring people’s houses and trying to identify with their pains. “When former President Goodluck Jonathan came for campaign here and 12 people died, I saw them eating lunch. “Persons have gone, whether for good or for bad, they will never come back. I will never support violence and I will never support injustice. “As I told you, we are going out on Saturday to vote for President Buhari. If INEC decides to obey the stay of execution, then we will arrange for election on Saturday. “But since the INEC Chairman is working for the PDP and since he does not want to obey the Court decisions, he was a Director of TETFUND when Wike was a junior Minister, so be it. God bless him,’’ Amaechi said.